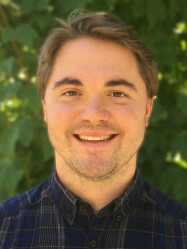 Mattias is an Associate Editor for the science and policy journal Angle, an invited member of the World Economic Forum Expert Network, a Member of EuroScience, and Vice-Chair of Policy for the Brussels-based Marie Curie Alumni Association. Vice-chair of Policy, Marie Curie Alumni Association, Brussels, Belgium. Awarded a 2019 Imperial College President's Award, “recognized for outstanding achievements in policy engagement“. Invited speaker, Voice of the Future meeting in UK Parliament. Authored several policy papers, available on Zenodo. Associate Editor of the science & policy journal Angle. Commentary on research culture and strategy in Nature 557, 129-131 (2018). Invited member, World Economic Forum Expert Network. TV interview with ABC News. Newspaper interview with the Herald Sun. 'Meet a Scientist' with the Science Museum.